Why Have a Financial and Medical Power of Attorney | DeLoach, Hofstra & Cavonis, P.A. 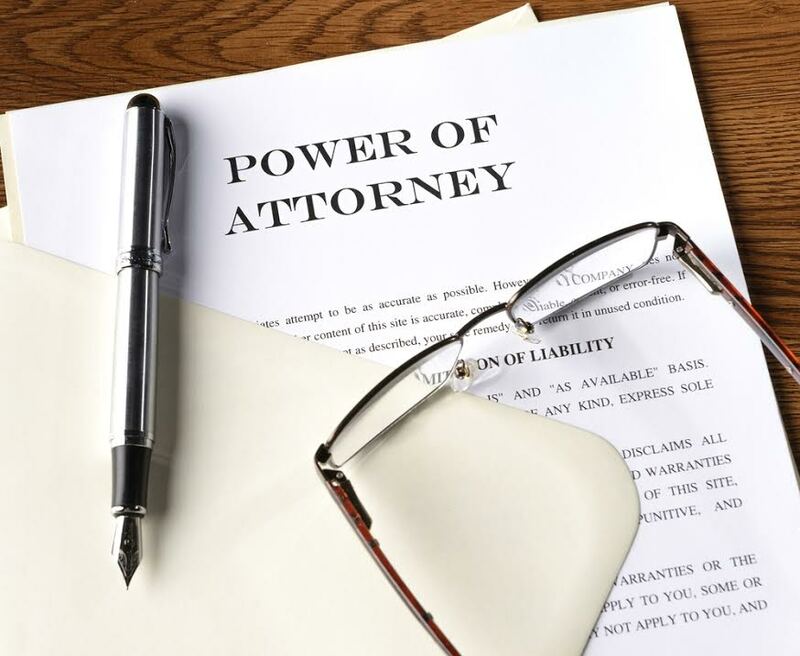 What type of power of attorney should you have in Florida? A good estate plan doesn’t just tell your family what will happen after your death. It also provides for you in the event you're incapacitated. Your will doesn't take effect until after you die, so you must create an estate plan that includes a proviso for illness, failing health, dementia, or some other ailment that affects your ability to make decisions. A power of attorney is a legal document that allows someone you trust to make decisions on your behalf. This person will be legally able to take care of important matters in your place, such as paying your medical bills, accessing your bank accounts, and managing your property. If your estate plan does not include a durable power of attorney and you become incapacitated, your family would have to go to court before they can legally make decisions for you. Power of attorney documents are structured to allow a person to control the amount and duration of the authority that's given away. Under Florida law, you have the right to revoke or terminate a power of attorney at any time. You can also build a termination date or clause into the power of attorney itself. However, Florida no longer recognizes what's called a “springing” power of attorney, which transfers power to your representative at a future date. Once a power of attorney is signed in Florida, a representative could potentially receive the powers he or she has been granted at any time. Because the power of attorney is active once signed, this means that you must trust the person you name in this role. Medical: A medical power of attorney is responsible for carrying out the health care wishes you've outlined in your will if you're too ill to speak for yourself. In Florida, we call this the designation of health care surrogate. The person you appoint will be the only person your doctors must listen to, and is the only one authorized to make decisions on your behalf. Your surrogate must make medical decisions in accordance with your living will. The designation of health care surrogate and living will are called advance directives. Durable: A durable power of attorney controls the conditions in which the power is transferred to your agent. If you wish for your agents to continue to make decisions on your behalf if you're incapacitated, you must specify that you want a durable power of attorney. Most powers of attorney we create in our office are durable powers of attorney. Limited: A limited power of attorney gives your agent the ability to act only in matters that you have clearly assigned to him or her. These can be used to limit a person’s control over your holdings to a single stock, or even to a single transaction, such as selling your home. Your limited power of attorney document must specify which powers you are and are not delegating. For each power of attorney you create, you must choose an agent to represent you. This person will ultimately have control over the most vital decisions in your life, so you must choose someone you can trust. You should consider your representative’s location, age, lifestyle, and whether or not you have similar opinions on the matter entrusted to them. You can choose separate agents for your designation of healthcare surrogate and durable powers of attorney, but keep in mind that these people will have to work closely with each other if you're incapacitated. Even if you know which person you want to designate as your agent, it's a good idea to ask a lawyer experienced with estate planning to review your power of attorney document. Our legal team often spots potential problems or ambiguous language that can be easily clarified and corrected now, but would cause confusion and legal issues later. Contact us today to speak to an attorney about your estate plan. You also want to choose alternate agents who could help you if your named agent could not. For instance, you would likely name your spouse to make your financial and healthcare decisions, but you would want to name alternates to your spouse, especially as you get older.